San Francisco Dental Artistry of San Francisco offers cosmetic dental services for patients throughout the 94104 area. As an experienced cosmetic dentist, we make it possible for our patients to have the beautiful smile they have always wanted using a variety of modern dental techniques. San Francisco Dental Artistry of San Francisco is committed to high-quality patient care and works to ensure that patients are comfortable during their procedures and delighted with the results. This makes us the provider of choice for patients throughout California. San Francisco Dental Artistry of San Francisco takes the time to get to know each patient and the goals that they have for their smile. This often involves correcting a problem with how a particular tooth, or teeth, appear. Thanks to modern dental techniques, we can help patients throughout San Francisco CA to accomplish these goals in a way that is painless while producing dramatic results. Gone are the days where people have to live with a smile that they don’t like or are embarrassed to show off. Even people with severe stains, crooked, damaged teeth, and gaps can experience the stunning transformations available when working with San Francisco Dental Artistry of San Francisco. We work with adults of all ages and commonly hear that older patients feel like it is too late to improve their smile. This couldn’t be further from the truth. Seniors throughout the 94588 area frequently use our services and are delighted to find that there are many ways to restore their damaged teeth and replace missing ones. While, in years past, there may have been very few options available for replacing missing teeth, cosmetic dentistry has opened the door to solutions that are permanent, durable, and natural looking. To find out what procedures will work best for you, call (415) 399-0609 and schedule a consultation. A NEW STUDY SHOWS THAT A GREAT SMILE CAN YOU MAKE YOU 20% MORE ATTRACTIVE AND PEOPLE WITH SAN FRANCISCO DENTAL ARTISTRY MAKE, ON AVERAGE, 12% MORE MONEY EACH YEAR. Some people hear the word cosmetic and assume that San Francisco Dental Artistry of San Francisco only treats people that are looking to create a Hollywood smile. While San Francisco Dental Artistry of San Francisco is a talented cosmetic dentist, this field of dentistry involves much more than creating a stunning appearance. It is true that most Hollywood stars have used cosmetic dental procedures to improve their smile, but these procedures accomplish far more than that. Beyond basic cosmetic procedures aimed at changing a persons’ appearance, cosmetic dental procedures can restore the functionality of teeth and the self-confidence of our patients. People throughout California visit San Francisco Dental Artistry of San Francisco after they have been in an accident and have damaged their tooth. The American Dental Association reports that the majority of adults that damage their teeth do so while playing sports, meaning that anyone can have a tooth break or chip at any time – regardless of how careful they are. Car wrecks, slip and fall accidents, and workplace injuries are additional ways that teeth can become damaged and when they do, it is important to visit a dentist that understands how to restore teeth in a natural way. San Francisco Dental Artistry of San Francisco has a reputation for completing restorations in a way that makes teeth appear so natural, no one can tell there was ever anything wrong with them. This is the sign of a talented cosmetic dentist. When no one knows that you were there – you did an excellent job. San Francisco Dental Artistry of San Francisco and staff have earned this reputation for excellence, leading people throughout CA to schedule appointments after damaging their teeth. This can be a lifesaver for people that want to live an active lifestyle and maintain the appearance they had prior to the accident. We do, however, recommend that if you damaged your tooth, you call (415) 399-0609 to schedule an appointment right away. The faster you can come into our dental office, the more options you will have for restoring the damaged tooth. This is especially true if you had a tooth fall out and are trying to save it. Cosmetic dentistry has also improved preventative care and how people are treated overall. In the past, old fashioned metal tools were used for everything. Now, as a cosmetic dentists, we look for ways to improve the patient experience and leverage technology in order to do so. 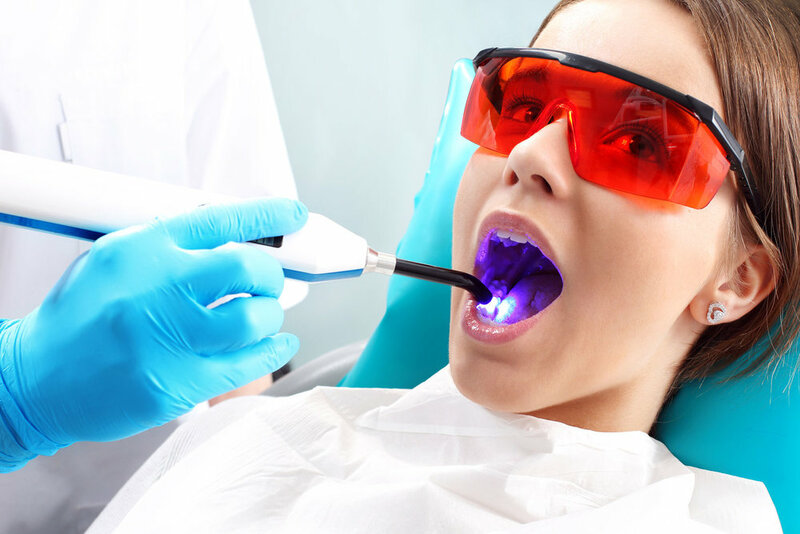 Some new techniques involve using a laser while cosmetic dentists keep patients comfortable and relaxed through sedation. San Francisco Dental Artistry treat patients in the 94104 area and does so with compassion and care. By identifying ways to improve the experience of every patient, San Francisco Dental Artistry and the staff at San Francisco Dental Artistry continue to make visiting the cosmetic dentist easier and more enjoyable. From painless teeth cleanings to performing major dental work in comfort, we make our patients our top priority. As an experienced cosmetic dentist, San Francisco Dental Artistry of San Francisco understands that when patients have healthy teeth, their teeth will be less likely to become damaged or to fall out. With over seventy percent of U.S. adults experiencing some form of tooth loss, preventative care is that much more important. We recommend that patients throughout California schedule an appointment with our local San Francisco office to have their teeth cleaned at least twice a year. During these regular appointments, we can remove surface stains, bacteria, and plaque that like to hide in hard to reach places. We can also look for signs of gum disease and cavities so that if any are present, they can be treated right away. Keeping teeth healthy is important because healthy teeth are strong teeth, and strong teeth are at less of a risk for falling out. While cosmetic dentistry is typically viewed as a way to create a beautiful and perfect smile, taking the time to focus on preventative care is something that we are passionate about. The entire staff at San Francisco Dental Artistry takes the time to educate patients about what they can do at home to stay in good oral health and as a result, we are able to reduce the risk of cavities and gum disease in patients throughout the 94104 area. Sometimes, taking these few extra minutes can make a positive impact on our patients’ oral health, and that is something that excites us. If you are looking for a cosmetic dentist in San Francisco CA, schedule an appointment to visit San Francisco Dental Artistry. You will be delighted with the level of patient care that you receive along with the stunning results. You can schedule an appointment by calling San Francisco Dental Artistry at (415) 399-0609.